Today i interview a true super affiliate, ladies and gentlemen let me introduce you to Mr Warren Wheeler. 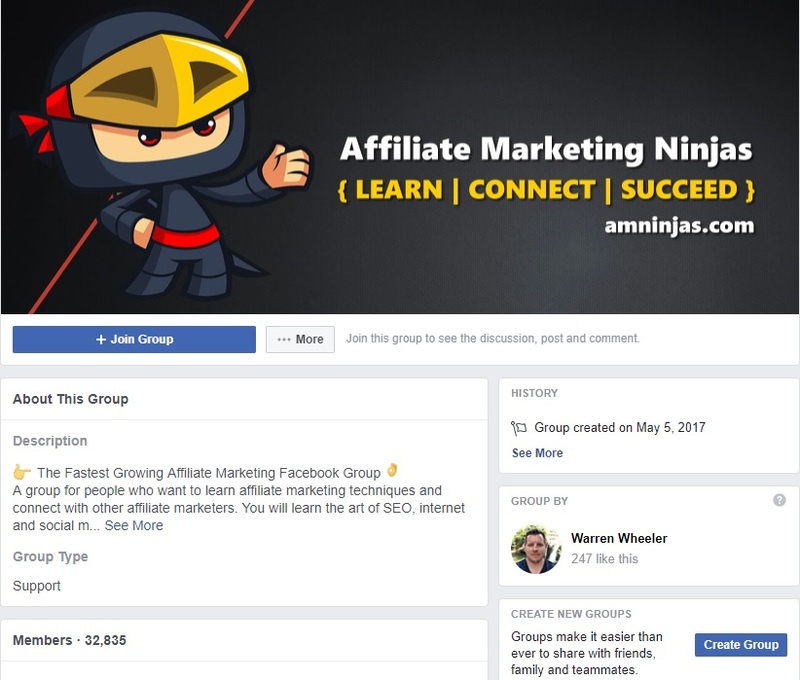 Warren has grown his own facebook group (affiliate marketing ninjas) to over 30,000 members! I have been a member of this affiliate marketing facebook group for nearly a year now and i can safely say that it’s full of value. Before we jump into the interview let’s talk about the word “super affiliate”, what does it actually mean and how can you qualify as a super affiliate? Before we go any further let’s explain what a “super affiliate” actually is. In simple terms, a super affiliate is a very successful affiliate marketer. To be classed as “very successful” an affiliate will have needed to make a lot of profit through affiliate marketing. A lot of the successful affiliate programs will have a list of their top 10 or even 100 affiliates. If you fall within this bracket you may be classed as a super affiliate. I guess there isn’t a specific answer it is after all quite a generic question! I’d also say that a super affiliate is somebody that innovates and does things differently from the rest. They will create new ways of doing things, a super affiliate is in some ways a trend setter! As you all know i am a big fan of affiliate marketing, I’ve been learning about it for some time now! I credit a lot of what i know about affiliate marketing to Mr Warren Wheeler and that is why i’m so excited about doing this interview! 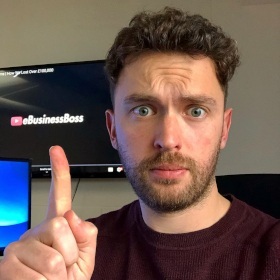 Here is the full interview, if you are interested in this sort of thing make sure you subscribe to the ebusiness boss youtube channel! I hope you enjoyed the interview, i’d love to know your thoughts in the comments either on the video or at the bottom of this article! Let’s talk over some of the good bits! Warren spoke about when he first started out in 2006, he spent a fair bit of time learning about HTML and coding etc. Back then if you wanted to build a website you needed to understand the basics of HTML and code. Nowadays if you want to build out your own websites you don’t NEED to know about any of this. If you want to build a website you can use wordpress and teach yourself how to use it on the likes of YouTube, it’s easy once you get going. A lot of affiliate marketers rely on software like “clickfunnels” to build out their websites. Landing page builders like this make it quick and easy, you don’t need any sort of technical knowledge. Where did Warren get started? When Warren first started he built very different sites to the ones he builds today. Warren started out building game sites, do you remember miniclip? He started building flash game sites just like this, he’d then monetize them by embedding advertisement banners like ad-sense etc. It’s very simple, people click on your links and you make a commission. He got into promoting other peoples products in late 2008 / 2009. He didn’t see any real success as an affiliate at the start, rather than taking action he’d spent a lot of time analyzing his work. Warren refers to this as analysis paralysis (it’s a Warren Wheeler Buzzword). I’ve heard him talk about this many times within his affiliate marketing Facebook group. If you have an interest in affiliate marketing or building websites i’d recommend you join the group. I’ve been in a few affiliate marketing Facebook groups and this is the only one where i haven’t had people try to sell me stuff (i don’t like being sold stuff haha). Trust me guys, if you want to learn a load of stuff about affiliate marketing you should join his group. No Warren hasn’t paid me to say this, it’s my honest opinion! You know me, i only recommend people and products that i actually trust and Warren is one of those people. We go onto talk about how Warren has grown the group to such a number (whilst keeping it SPAM free). This is one of my favorite parts of the interview as i think the concept can be applied to any part of life. The group has been built around giving value to other people and i think a lot can be said for this. I think that in the coming years this is going to become more and more important. For me the most successful people in the world build their brands on this basis. Frank is another super affiliate, his Facebook group is another one i can happily recommend, I’ve been a member for a little while now. Both groups are full of value and they are free, what more could you want? For me this is the main punchline of the entire interview; “Help Other People”. Well firstly because it’s just nice to be a good human being. Secondly this is how you grow a real audience! Warren has accumulated over 30,000 members in just over a year and it’s all because he was just happy to help other people. You can apply this strategy to any business. Find your customers and spend time helping them with their problems. Do this and don’t charge them, it sounds odd but trust me you’ll thank me later. Let’s move on to the big question, how did Warren take a brand new site to $40,000 in eight months? This is the big question, how did Warren do it? 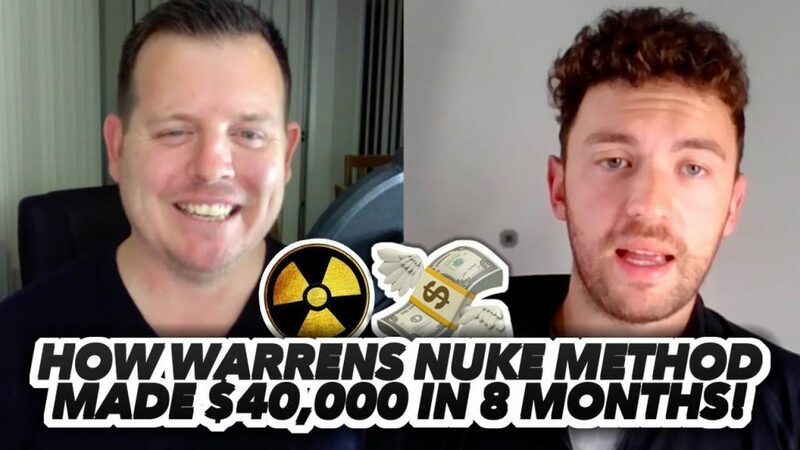 Taking a brand new site to over $40,000 in eight months is impressive, especially if you consider the fact that Warren didn’t spend a thing on PPC. It would take me a long time to explain everything, lucky for you Warren has written a blog post explaining the process. In simple terms, Warren built a website around a passion of his. The site was built around giving the visitor value. Warren would of written around 20 – 25 useful informational articles (2500 words average) targeting keywords visitors were searching. In this niche the visitor may have been searching “How to teach my dog to sit”, an effective article would answer this question in detail. The article would serve as a useful how-to guide to teach people how to teach their dog to sit. Once you have 20 + of these useful types of articles you can move onto the “money pages”. Money pages are basically review articles, these are normally around 2000 – 3000 words in length. These articles will be reviewing an affiliate product that may help the visitor with their problem (there’s that help word again). 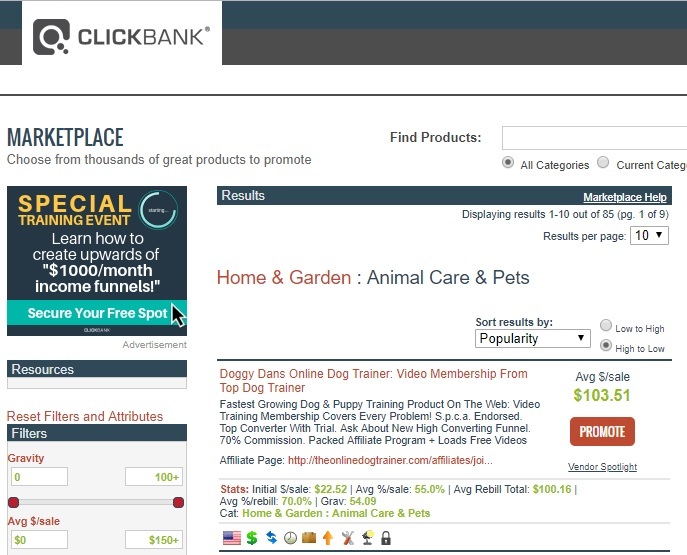 An example of this would be Doggy Dan’s online dog training course, this product can be found on clickbank. If you look at the screenshot above you can see the figure of $103.51 above the red promote button. This is the amount an affiliate earns (on average) for each sale, pretty impressive right! Anyway, you get the point, review 3 – 4 affiliate products like this, link your informational articles to your “Money page” and off you go. Warren tells me that this site is just a side project, he hasn’t touched it for 3 months and the site is still bringing in up to $400 a day. $400 a day?! WHAT! Yer i know, it’s crazy isn’t it! So first thing’s first, find a niche that you are interested in. Once you’ve done this you need to do your research, look for the long tail keywords that aren’t too competitive. Start with these, once you are ranking you can start going after the more difficult keywords. I’m pretty sure it would change your life, it would change mine! But be warned your ideas are nothing without you taking action! Find your niche, select your affiliate products and get writing! Always keep your reader in mind, your mission is simple. Help the person reading the article. If someone has searched “How to teach my dog to sit”, your article better show them exactly how to do it. Help your readers and your audience will grow. If you want to get started, i’d recommend building your site on wordpress. Don’t go for any old hosting, go with a reliable option! I use siteground and trust me their product and customer service is brilliant. In the early stages they helped me with all sorts, even the technical side of setting up my site! I am happy to recommend their product because they’ve “helped me” and that my friends is the secret sauce. I credit most of what i know to Mr Warren Wheeler, I can’t recommend his group enough. I hope you all enjoyed the interview.